Many of you who visit the super markets must now be aware of the Sun feast Sugar free cream biscuits, that comes in various flavors'. 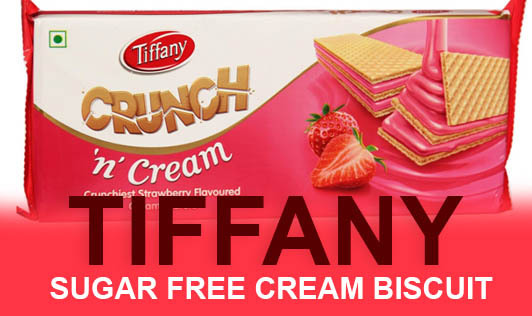 This is what they claim: Sugar free Cream biscuits "Sweetened with Splenda" and the below tags to attract the consumers. Speaking about the nutrition facts of the sugar free biscuit..
3 biscuits amount to 30g and it contains 140kcal, 6g fat with 3.5g saturated fat, 21g carbs, 2g protein, 0 fibers and calories from fat is 54. Though FDA has approved on the product Splenda, there is still a long term research going on regarding the side effects of Splenda as a sugar substitute. The research also states its health concerns when used on a long run and above average recommended limit. Let me throw some light on the artificial sweetener Splenda. Splenda is a product that contains the artificial sweetener sucralose, dextrose and malto dextrin, which are used to increase bulk and are carbohydrates. 1 cup of Splenda contains 96kcal and 32gms of carbohydrates. For people with diabetes, this is a significant amount of carbohydrates and for weight watchers, this can be a problem. The majority of studies were done on animals for short lengths of time and the symptoms associated with sucralose were gastrointestinal problems (bloating, gas, diarrhea, nausea), skin irritations chest pains, palpitations, anxiety, anger, moods swings, depression, etc. And so people who consume the biscuit end up consuming the snack with 0 fibers and high calories. So, it is always better to use natural sugars than the artificial ones and burn your calories through regular exercises and a healthy diet. You can try choosing plenty of healthy snack options and keep tiffany as your occasional tea time snack!